Based on information from Smith Travel Research, Chesapeake is performing well. According to information from the Virginia Tourism Corporation, overall visitor expenditures for Chesapeake in 2015 were $331.4 million, resulting in $11.8 million in local tax receipts. Dollar Tree will soon undertake a $110 million expansion to its headquarters in Greenbrier, adding an urban street scape with food, retail and potential for an additional hotel. 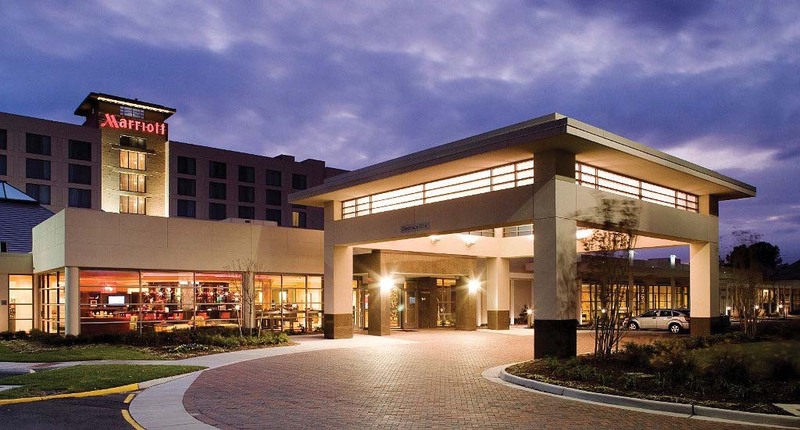 LTD Hospitality Group has closed on the purchase of the Marriott Hotels property located on Woodlake Drive at the entrance of the Chesapeake Conference Center. Current plans are to rebrand the hotel to Marriott International’s, full service Delta Hotels by Marriott brand in March of 2017. LTD will strengthen the hotel’s position in the market through a complete modernization and renovation of the 230 guestrooms, 12,000 square feet of meeting space and lobby. The Delta hotel will be the first in Virginia and only second to open in the US. Our approach has been for visitors to spend a few days off the beaten path in our wonderful park system. The Northwest River Park is over 700 acres, and a third of the Great Dismal Swamp National Wildlife Refuge is in Chesapeake, as well as numerous other parks and waterways. Our accommodations are more affordable, and we offer a place to get outside and connect with nature and one another. This year we incorporated more photography and digital initiatives, including video. Seeing is believing, and we produced a series of photos that we can maximize on social media, in programmatic ads and on our website. Chesapeake has limited traditional “brick and mortar” attractions or experiences. We are looking forward to breaking ground on the Great Bridge Battlefield and Waterways Museum. The museum will contain both permanent and changing exhibits that demonstrate the importance of both the Battle of Great Bridge and the historic waterways to the creation and development of the nation. Due to its location on the banks of the Atlantic Intracoastal Waterway, it will receive both marine and vehicular traffic. The center will provide resources for local historical research, host both indoor and outdoor interpretive displays and programming, contain a 100-seat theater and have space for social and civic events. What does tourism mean to the City of Chesapeake? How does it affect local taxes, and how does it affect our quality of life? How does it help drive our local economy, jobs and the quality of our schools and education system? Tourism is a $331 million industry for Chesapeake. It contributes $11.8 million in local tax receipts, with 3,191 jobs in Chesapeake. Approximately half of the tax revenues are shared with schools. Tourism tax dollars fund facilities, new parks and recreation amenities, schools, as well as festivals and events. I do believe the cities of Coastal Virginia do an excellent job of working together to boost tourism. While each city presents their unique visitor experiences, the tourism departments recognize there is strength in working together to promote this beautiful area and extend the visitor stay. 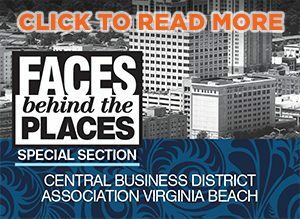 How does Chesapeake work with other regional partners to sell the region to visitors? The Coastal Virginia Tourism Alliance is the umbrella that connects all of the regional partners. Through this alliance we’ve developed marketing materials and meet regularly to discuss how we can best work together to grow the travel to our region.